Like us on Facebook and get the ad. Local & Nationwide delivery available! We support recycling efforts that make our planet cleaner and greener. Every vehicle is recycled in an environmentally friendly method. 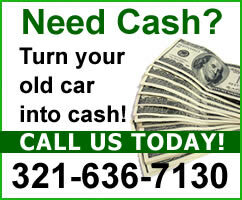 We buy cars that are running, not running, or wrecked. 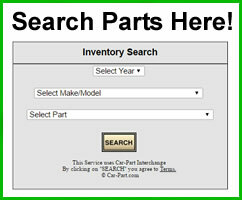 parts we are able to quote the part you are looking for in seconds. All Parts Come With A 101 Day Warranty! 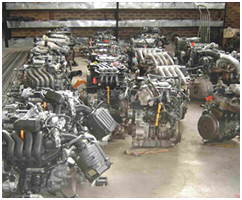 In business since 1979, Cocoa Auto Salvage is the leading supplier of quality used auto parts on the Space Coast. Located minutes from the Beach Line and I-95 in the Cocoa Industrial Park, customers can easily find us. Or, if you prefer, we can ship the part directlly to you. Parts can usually be received two days after ordering and we can ship anywhere in the United States.